Never-before-seen footage details modes, gameplay features and historical authenticity of upcoming RTS. A new gameplay trailer for Sudden Strike 4, showing the latest glimpses of gameplay from the return of the legendary RTS franchise in all its glory. As well as new footage of single- and multiplayer modes, the new trailer demonstrates the return of the optional ‘pause and play’ system, allowing players to suspend the action while they issue detailed commands and manoeuvres to their units. Also shown is one of the most significant new features of Sudden Strike 4 – commanders. Players may now for the first time select from nine historically accurate commanders, each of whom has their own unique abilities, perks and skill tress to unlock as you play through the game. Sudden Strike 4 is currently on track for a release in spring 2017 on PlayStation®4, Windows PC, Mac and Linux. You can pre-purchase the game on Steam now to secure a 15% discount, plus a digital soundtrack, digital artbook and the 'Battle of Kursk' DLC. 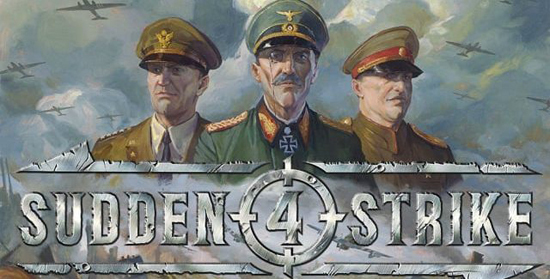 Developed as a fully-fledged series entry and not a remake or reboot, Sudden Strike 4 sends you off on three extensive campaigns set amongst the battlefields of World War II. Commanding the British and American, German or Soviet troops, you will lead over 100 different units into battle, including the German bomber Heinkel He111, the Russian T-34 tank, the British Hawker Typhoon fighter plane and the notorious German Panzerkampfwagen VI Tiger. In a first for the Sudden Strike series, you can now choose from one of nine individual commanders, such as George Patton or Bernard Montgomery, who will each allow for different approaches to combat and boast unique abilities. Prove your tactical expertise in over 20 demanding single player scenarios, the challenge-focused skirmish mode, and the competitive multiplayer mode. A new reward system rewards clever and tactical play, awarding the player with skill points and bonus content, such as historical film footage of the era. Sudden Strike 4 offers countless ways to vanquish your opponents. Exploit the weak spots of tanks, set up an ambush, occupy buildings with infantry, outmanoeuvre the enemy with clever positioning or unleash devastating air strikes – how you approach each mission is up to you! ‘Pause and play’ system allows you to suspend the action while issuing detailed commands and manoeuvres to your units.